Montreal 8C pump ready for the test bench. 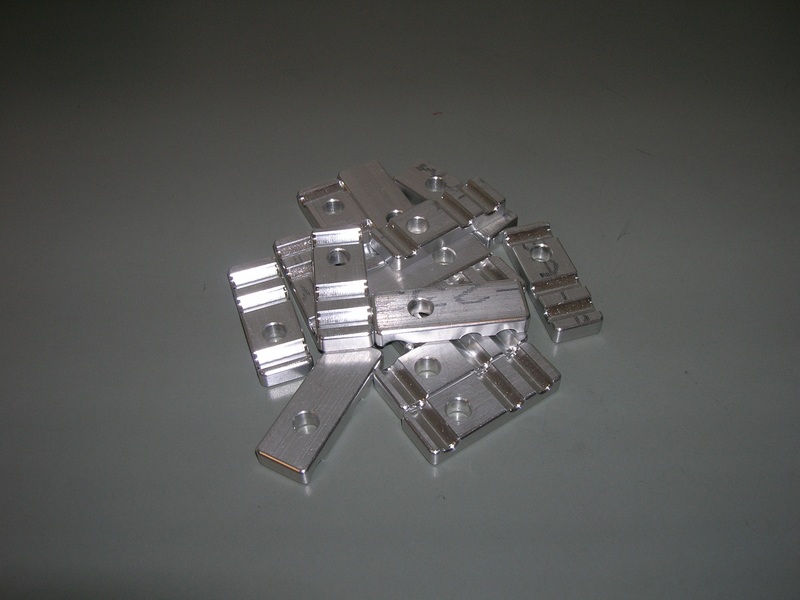 We had some special parts machined for a project, and could only get them done in bulk. We hope you'll find these useful: call us to get them included in our work with you. 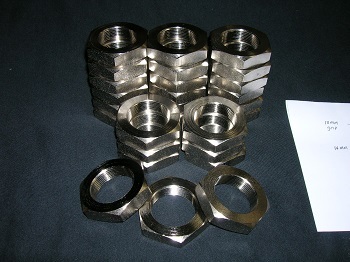 These replacement crank nuts eliminate the need for a special spanner tool that would exceed the cost of the nuts alone. 2.0 in. 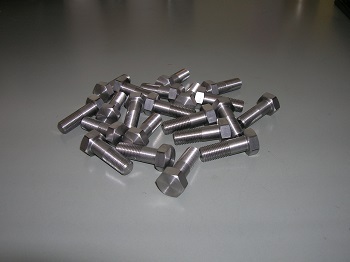 or 50 mm Hex nuts, nickel plated. 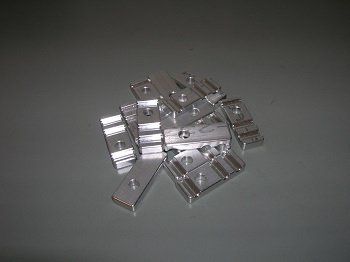 Special machined 9 mm x 1.0 replacement flywheel fasteners with correct grip length. Fits perfectly! 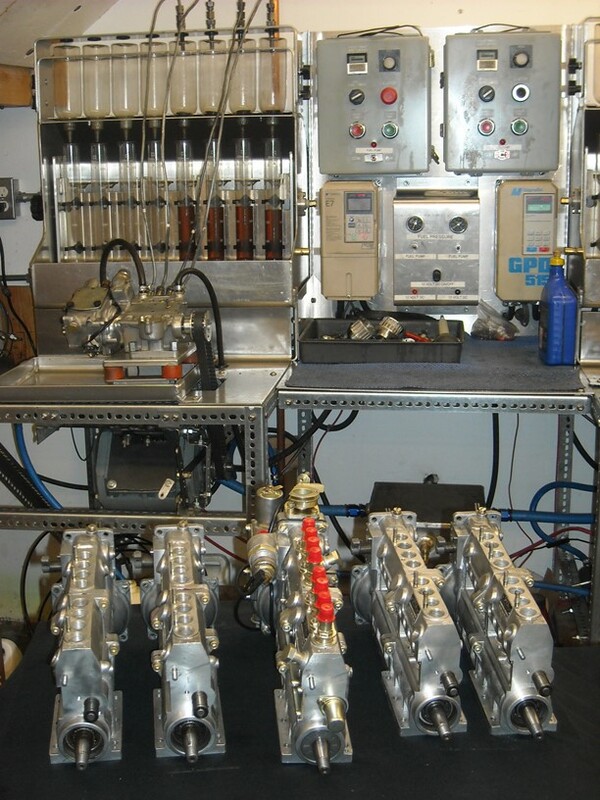 Spica pipe clamps: often missing or lost. 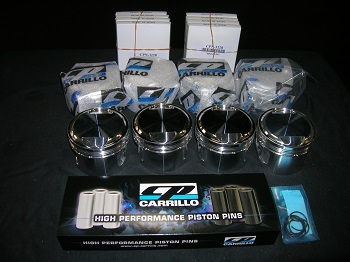 Premium forged CP-Carrillo 10.5/1 compression, low dome. Includes: (8) Pistons with retaining clips, pins and ring sets. (8) premium Darton Sleeves. 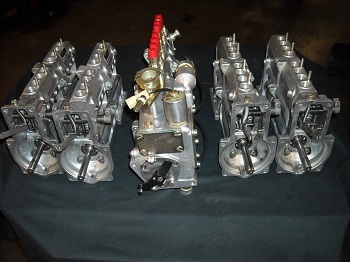 Increases displacement to 2720 cc, improves horsepower and torque. 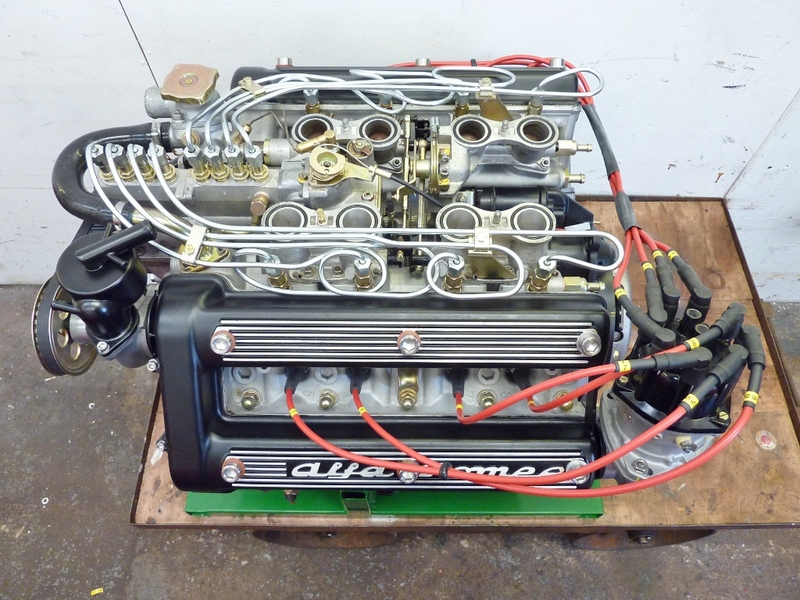 Increases gas mileage with reduced oil consumption. 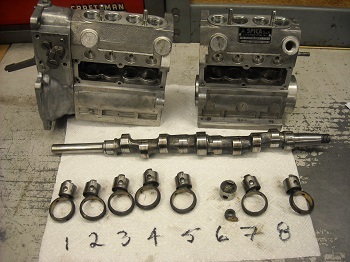 Sleeves machined, pistons and rings fit to sleeves, ready to install.